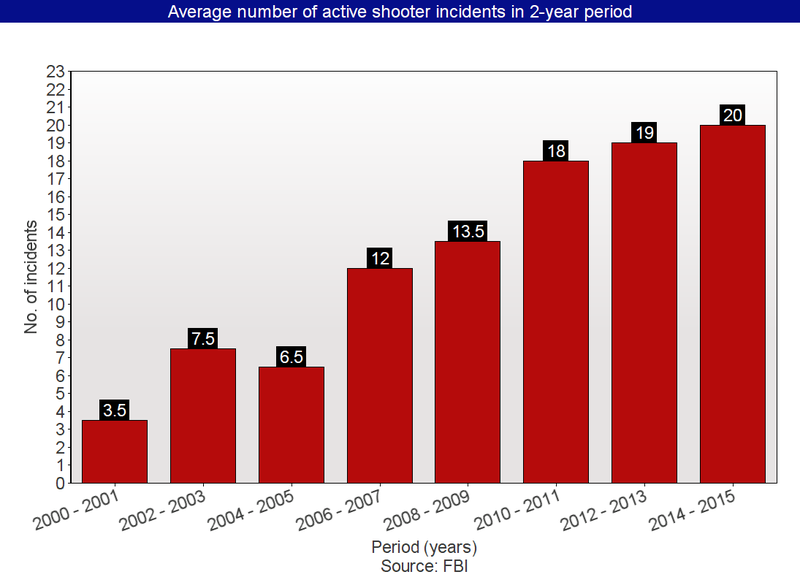 New data just released by the FBI show that active shooter incidents in the United States continue to rise, with last year and the year before having the highest average of incidents ever in a two-year period. The FBI defines an active shooter incident as 'an individual actively engaged in killing or attempting to kill people in a confined and populated area.' Implicit in this definition is that the subject's criminal actions involve the use of firearms. - Over the two years, 92 killed, and 139 wounded (not including the shooters) in a total of 40 incidents. - Three female and 39 male shooters conducted the 40 incidents. Husband-and-wife teams carried out 2 different incidents. One shooter was a preteen, 5 were in their teens, 16 were in their 20s, 5 were in their 30s, 8 were in their 40s, 5 were in their 50s, 1 was in his 60s, and 1 was in his 70s. - Sixteen (38.1%) of the 42 shooters committed suicide: 7 at the scene before law enforcement arrived, 7 at the scene after law enforcement arrived, and 2 at another location. - Fourteen (33.3%) of the 42 shooters were killed by law enforcement, including 1 killed by an off-duty officer. Twelve of them were killed at the scene. 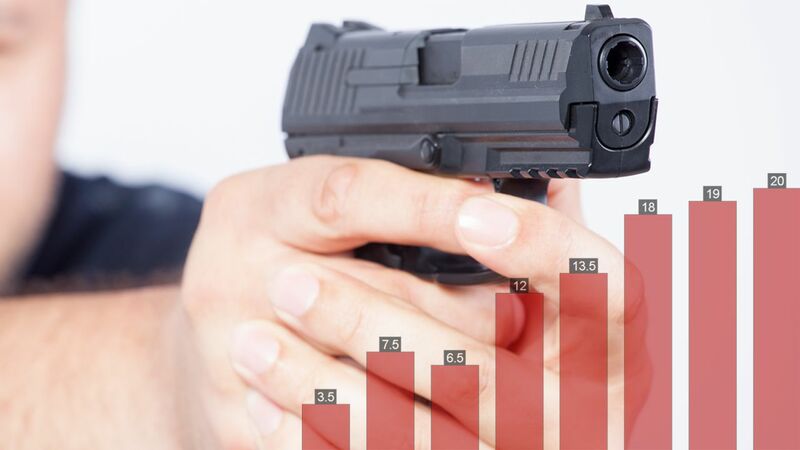 - Twelve (28.6%) of the 42 shooters were apprehended, 7 by law enforcement alone and 5 through citizen involvement.